You watch as the butterfly lights upon a flower, its wings vivid in the fading sunlight. You can see as its proboscis extends down to drink, and watch as it then flutters to another flower. The warmth in the air is obvious from the haze and the shimmers in the distance, and you can almost feel what it’s like to be there. Of course, your air conditioning ruins some of the effect, but your new 4K TV is proving to be quite immersive. 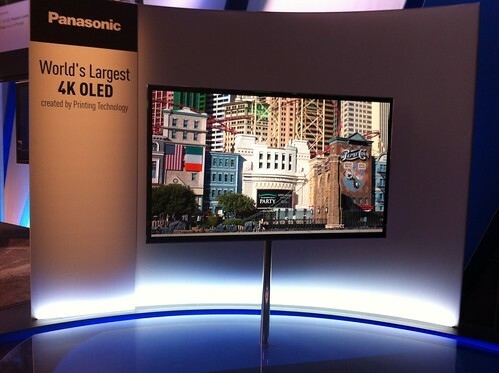 4K television, or Ultra HD, is set to be the new standard of high quality viewing in the home. Manufacturers are hoping that the increased resolution and incredible detail provided by the sets will be enough to motivate buyers, even as many have only just made the transition to standard HD. Television manufacturers will essentially double your resolution with 4K models. 4K refers to around 4,000 pixels wide with a height of around 2,000 pixels, according to CNET, but there are several different standards that are grouped under the Ultra HD title. In comparison, the high definition standard for HD is 1,920 pixels wide by 1,080 pixels high. The resolution of 4K is worthy of movie theaters. The technology makes sense, as most shows are now shot on 4K- capable cameras. What you view in the near future at home may be exactly as the creators of the show intended, in all the glorious detail. There have been some doubts as to whether consumers would be willing to shell out large amounts of money for yet another new technology. TV manufacturers have been doing what they can to answer such questions by producing 4K TVs at multiple price points. For those who want the best, there is the 84-inch model offered by Sony for $25,000, says CNN.com. For those on more of a budget, Sony is also releasing a 55-inch and a 65-inch, at $4,999 and $6,999 respectively. Another company, Seiki, is offering a 50-inch 4K TV for $1,500. Prices like these indicate companies are getting serious about putting 4K into as many homes as possible. It should also be noted that this is just the beginning — technology always drops in price after a few years on the market. Ultra HD should become affordable for the majority of buyers in the future. Sony is teaming up with the BBC to film this year’s Wimbledon Championships in 4K, according to TechRadar. Sony appears to be all in for the future of the technology, and apparently wants to get it out there to as many as possible. The extreme detail offered by 4K seems to be a perfect match for sports enthusiasts, where every detail is noted and measured. 3D television failed to take off like manufacturers hoped it would, but 4K may make the technology more appealing. Because of the increased resolution of 4K, 3D movies are said to look much better on the new televisions, especially those using passive 3D. This is good for viewers who prefer the lighter, more comfortable passive 3D glasses. According to www.GetDirectTV.org, DirecTV already offers 3D sports and movie packages. Sony is also attempting to get DirecTV and DISH to offer 4K broadcasts in regular programming, which will give Ultra HD TV owners plenty to view on their new sets.